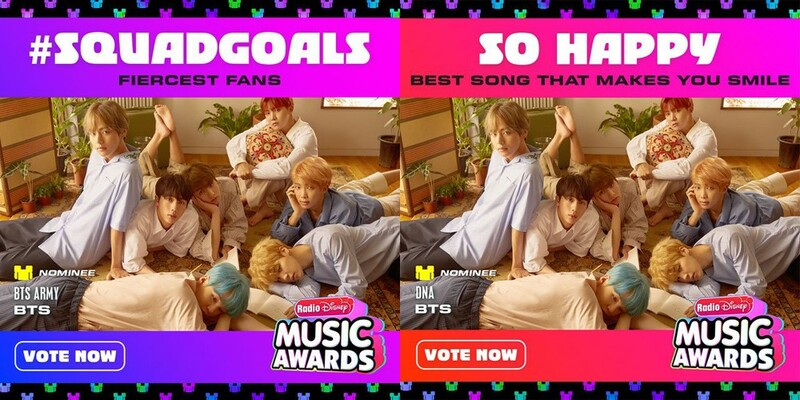 BTS ask ARMYs to vote for them at the 'Radio Disney Music Awards'! BTS asked their fanclub ARMY to vote for them at the 'Radio Disney Music Awards 2018'! This year, the 'Radio Disney Music Awards' is set to take place on June 22 at the Dolby Theater in Hollywood, California. 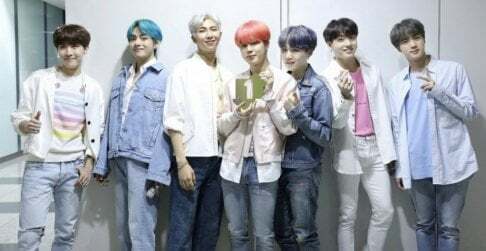 The awards consist of a total of 15 categories, and BTS have been nominated in 4 of them: 'Best Dance Track', 'Best Duo/Group', 'Best Song That Makes You Smile', and of course, 'Fiercest Fans'. You can visit the award ceremony's official website to vote, here!